Experience the healing power of reconnecting with your Angels and help co-create Heaven on Earth! 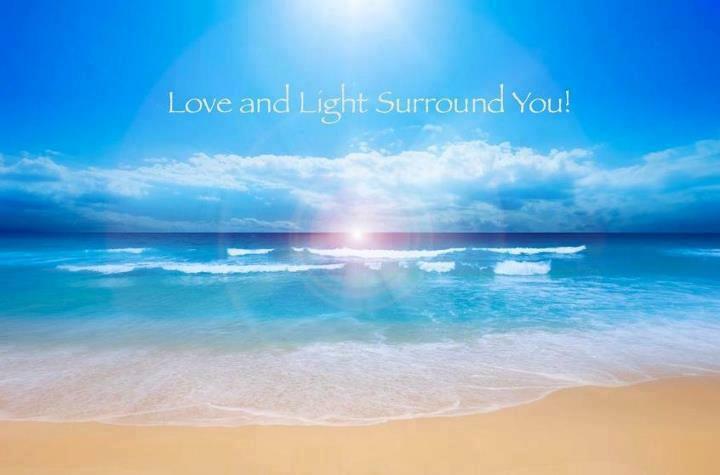 Magnificent Beings of Divine Light, our Angels are pure Unconditional Love and Light. They form a bridge between our Divine Source and us, Human Beings, to help us remember who we are. As French philosopher Pierre Teilhard de Chardin stated: "We are not Human Beings having a Spiritual experience, we are Spiritual Beings having a human experience." Whether we are aware of them or not, our Angels accompany us from one incarnation to the next, so we may remain on our Soul path and accomplish our purpose. They will, however, at all times respect our free will and never interfere with our choices. It is up to us to ask for their help concerning any area of our life. No request will be considered as too insignificant. Simply pass your order and leave it up to them as to how things will manifest. Then, expect MIRACLES! Deep within each one of us, Human Beings, lies dormant a faint memory of "Heaven on Earth". From one culture to the next, and across the ages, this apparently universal concept has received many names: "Paradise" or "Garden of Eden" in the Christian, Persian and Islamic traditions, the "Golden Age" found in classical Latin poetry, "Shangri-La" in the Tibetan tradition of eternal youth and tranquility, "Arcadia" and "Utopia" in the ancient Greek tradition, "Nirvana" in Buddhism and Hinduism, "Valhalla" - a Norse myth -, the "Happy Valley" in the North American tradition, "Zion", the "Promised Land", or the "New Jerusalem" in the Hebrew tradition, and many more... Each one of these appellations describes a world of sheer bliss and enchantment with no suffering and no poverty. They all reflect an experience of pure bliss while incarnated on Planet Earth. After a powerful and deeply transforming experience in 1997, my Angels gave me a clear vision of the "Heaven on Earth" we are now creating again as a human race. Each one of us, Lightworkers, is to awaken and form a network around the globe to raise the frequency of Humanity and the Planet. How do we co-create Heaven on Earth? As 3-dimensional human beings, we have been used to live a life of isolation. We have been taught to be responsible for ourselves in a society that honored individualism, courage and even toughness. The belief of our separateness was so deeply anchored within us that it seemed to be simply human nature to declare war and kill "others". "THE TIMES THEY ARE A CHANGIN", Bob Dylan sang in 1964 and he was right. As we approached the Aquarian Age, it was time to leave behind the world of polarity that governed all experiences on the planet. It was time to start reaching out and ask for help or offer our help in all areas of our lives. We are now entering the 5th dimensional experience again. Our Soul is ready for the New World, one of Peace, Abundance, Wisdom, Love, Compassion and Joy. One step at a time, we open our heart again and realize that separation was only an illusion! Oneness is Truth! Oneness with the Divine; Oneness with our Angels, Spirit Guides and all Beings of Light who accompany us on the path; Oneness with everyone on the Planet! As we start reconnecting with All That Is, we become more and more aware and eager to form a community of Love and Compassion. Like the dominoes, the Spirit of Oneness spreads all over the globe and we create again a world of wholeness and well-being. We create HEAVEN on EARTH! You shall be doubly in my prayers; first, because my 'inward intuition' tells me you are a rare orchid of gentle guidance and aid upon this ever-so-needful planet, so it is a great honor to know of you (God often keeps His rarest orchids tucked here-and-there in careful secrecy); and, second, because through you, God has reassured me about S. This is a painful concern for me; ever has it been since 2008; but, you have helped to lessen the anguish. So, thank you. You are very special. You are a true angel. The meditation was one of the most beautiful meditations ever with the gifts of time, love and peace. - Debbie C., U.S.